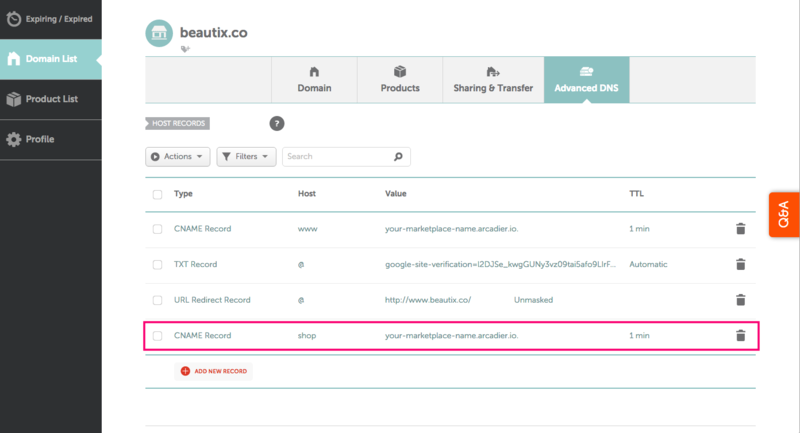 If you’ve bought a domain from Namecheap, you need to reconfigure your DNS settings to point the domain to your Arcadier Marketplace domain. 2. 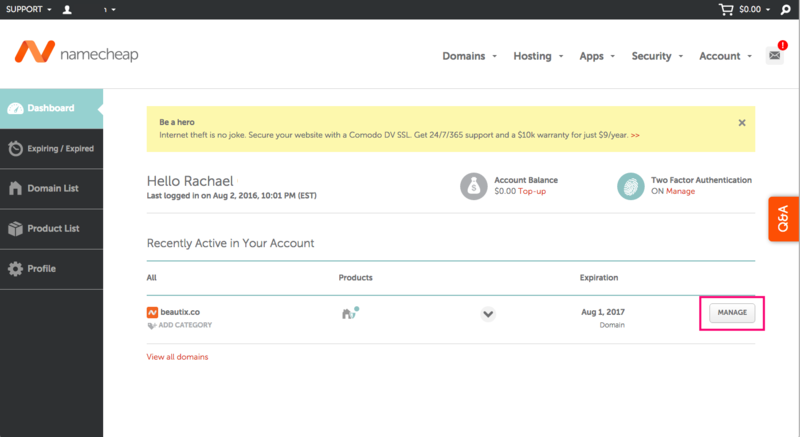 In the Dashboard section, click Manage for the domain that you want to configure. 4. 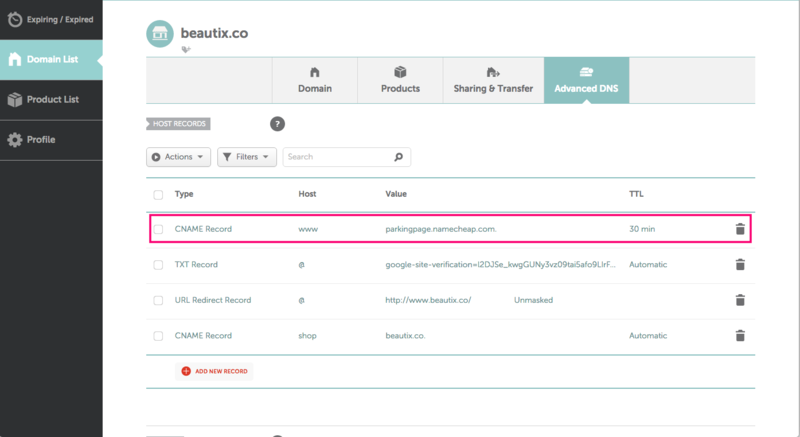 Under Host Records, look for CNAME Record. Make sure the Host is www. Replace the Target with your-marketplace-name.arcadier.io. Change the TTL to 1 mins. Click the Tick Sign to save your settings. If you have a root domain and are already using it for other purposes, you can use a subdomain to point to your Arcadier marketplace instead. 3. 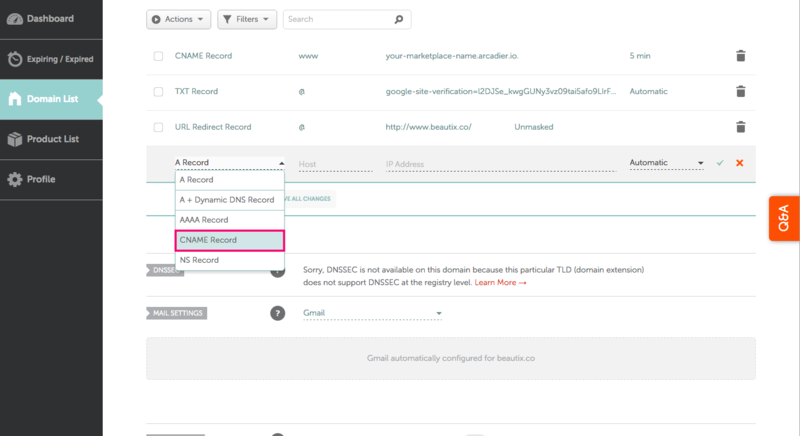 Under Host Records, look for CNAME Record. Fill in Host with the sub-domain you want to use. For shop.beautix.co, type in Shop.